The photo of the fence is the first photo I developed in a dark room. I was taking entry photography at the Mendocino high school. I have a distinct memory of several negatives on my very first roll of film were ruined. It can be tricky to wind 35mm film onto a spool in complete darkness. 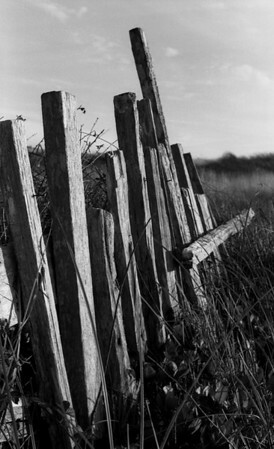 On the contact sheet of my surviving negatives I remember this old fence standing out to me. Watching the image come to life under the dim darkroom lights I knew I had found another amazing life long hobby. Looking through a tidepool cave in Mendocino, California. Evening light on an old wood picket fence in Mendocino, California. 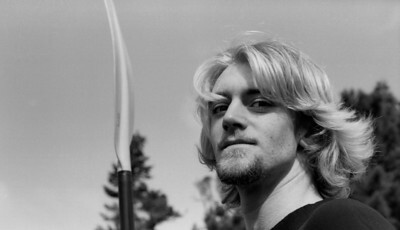 This was on the first roll of 35mm I successfully developed myself and was my first darkroom print.